Today I have a video for you! Its taken me some time to be able to make a video due to work and other commitments but hopefully now I will have one at least weekly for you. 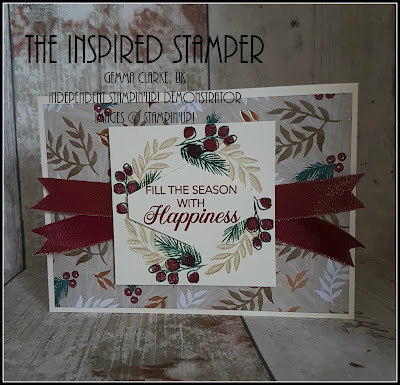 The stamping on this card is the focus of my video today, to make the wreath on the front. 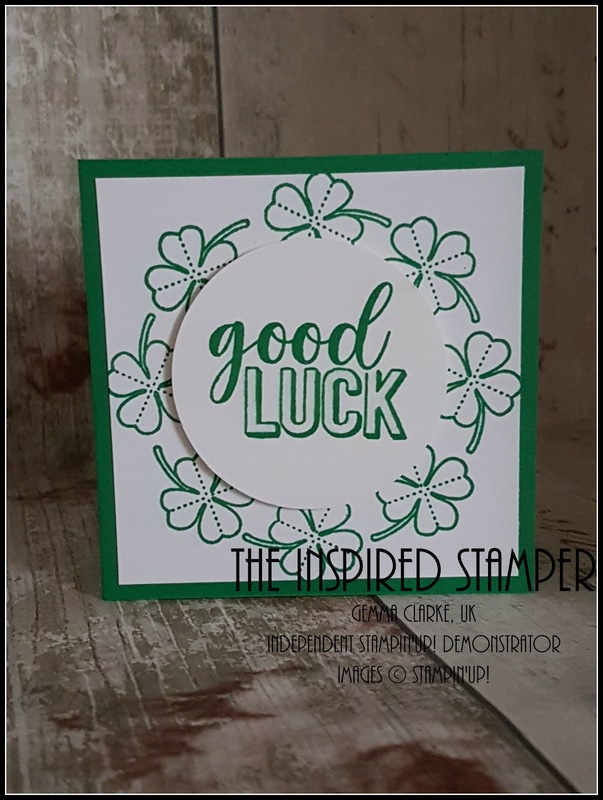 I have used a template which I made after seeing it on a facebook group called Stamparatus Fans Uk, In the video I said that the group was a demo only group but I was mistaken and its a group for anyone that loves their Stamparatus! Thank you to everyone on the group for the inspiration. 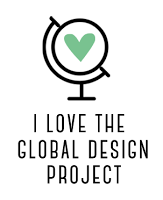 Its a very simple thing to make. It is basically 2 squares overlapped to make a star shape which you then use to rotate and build your wreath or ring shape with by moving the card not your stamp. 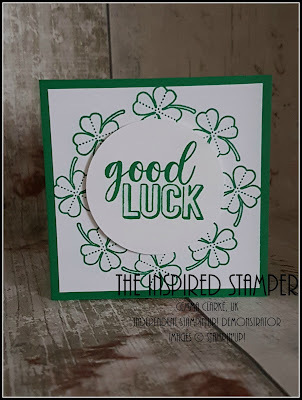 In the card below I have used a clover stamp to make a ring around my punched circle sentiment. I would say that it would be quite difficult to line these up without using the template. The Stamparatus makes this technique so simple and easy yet it looks so visually stunning. To make the card you will need a card base, mine measures 4 1/8" by 11 1/2" scored at 5 3/4" on the long side. A square of card measuring 3" by 3", A piece of DSP measuring 5 1/2" by 3 7/8". Some Merry Merlot and copper ribbon. Ink pads in Sahara Sand, Tranquil Tide and Merry Merlot. 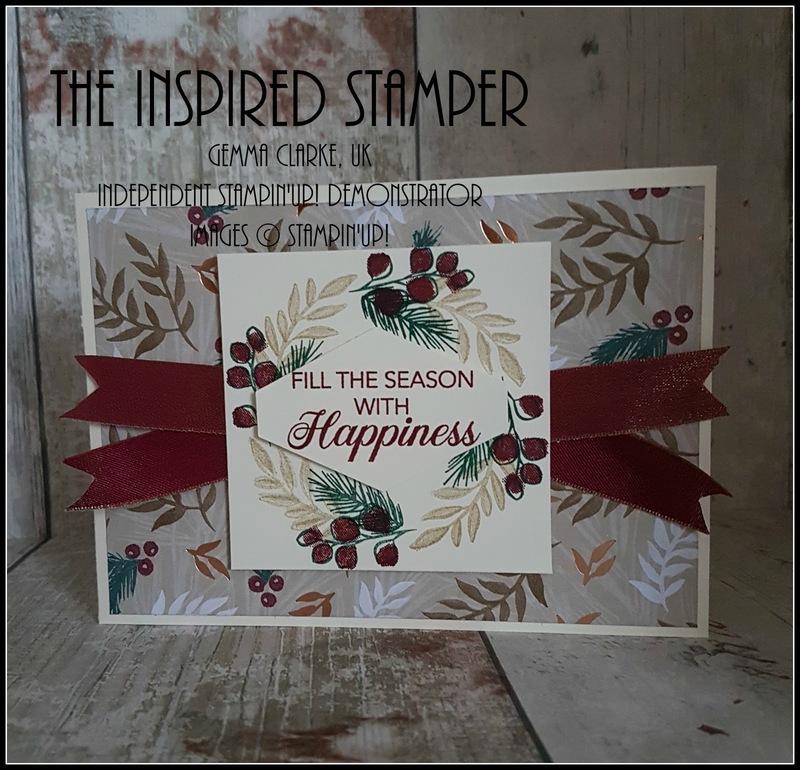 A scrap of card to stamp your sentiment on. 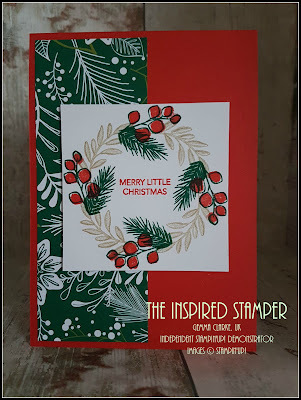 Peaceful Noel stamp set and of course your Stamparatus! 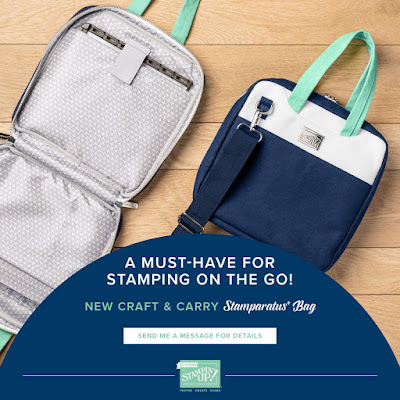 In my video I mentioned the Stamparatus carry bag, It will be available from the 5th December and you can buy the bag on its own for £27 or with a Stamparatus tool for £73. As soon as I get mine I will be showing you all!